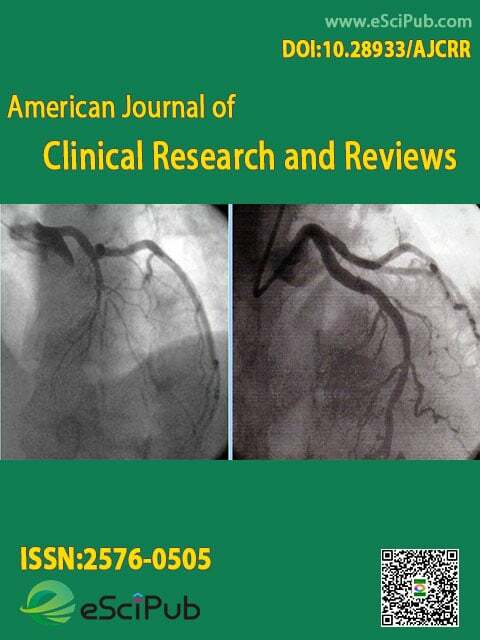 American Journal of Clinical Research and Reviews (ISSN:2576-0505; doi:10.28933/ajcrr) is a peer reviewed open access journal publishing research manuscripts, review articles, editorials, letters to the editor in Clinical Research and Reviews. 1.Massimo Bolognesi. How to detect subtle ischemic heart disease in athletes or ex-athletes: a case report with a brief review. American Journal of Clinical Research and Reviews, 2017; 1:4. American Journal of Clinical Research and Reviews is a peer reviewed open access journal publishing research manuscripts, review articles, editorials, letters to the editor in Clinical Research and Reviews (Indexing details). Please submit your manuscript by the form below or send it to submit_manuscript@escipub.com (use "American Journal of Clinical Research and Reviews" as the email subject line).